The Federal Open Market Committee Meeting (FOMC) meeting minutes told us much of the same. 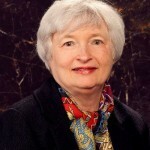 QE3 is over, rate hikes will happen after a "considerable" time, and markets are still sensitive to humdrum Fedspeak. FOMC Meeting Minutes Show the Fed Is "Making Things Up as They Go Along"
The FOMC meeting today will mean one thing: accommodative monetary policy is ending. This may spook some investors who have rode this Fed-driven bull market to big gains. Here's how you can keep scoring gains even with less easy money flooding the markets. The Fed balance sheet has been expanding at an alarming rate since the financial collapse in 2007. And there's no surprise the markets have gone along for the ride. But this week's FOMC meeting will mark an end to that, and no longer will markets be able to fall back on easy money policy. Here's where the Fed is now, how it got here, and how you can invest around it. 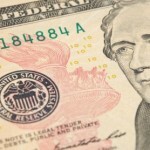 The Federal Open Market Committee Meeting (FOMC) meeting minutes were expected to mirror the same sentiments and monetary policy guidelines the U.S. Federal Reserve has been touting for months. And on that front, this minutes release did not disappoint. Ever since former U.S. Federal Reserve Chairman Ben Bernanke announced the tapering of the Fed's current bond-buying program in December, the release of the Federal Open Market Committee (FOMC) meeting minutes have been unsurprising and awash in technical central-banker jargon. It's followed the same pattern each time: the Fed will have its meetings, release a statement, and then three weeks later they will release the minutes of that meeting as per Fed protocol. 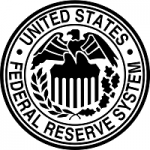 The U.S. Federal Reserve's Federal Open Market Committee (FOMC) meeting today went according to plan, as the Fed will continue to taper bond purchases and is maintaining hushed tones on interest rate increases after the third round of quantitative easing (QE3) ends. As far as monetary policy is concerned, nothing changed. Money Morning's Chief Investment Strategist Keith Fitz-Gerald joined CNBC's"Closing Bell" program yesterday and said the newly released Fed meeting minutes show that one thing is clear: The Federal Reserve is just "making things up as they go along." 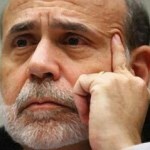 Even more unnerving - the Fed's ridiculous conclusions have triggered some concerning moves in the markets. The minutes from last month's FOMC meeting show that the Fed expects to end its bond-buying program by October. Just a few months ago the Fed said it could start raising interest rates six months after QE ended. The Fed wrapped up a two-day policy meeting Wednesday with little fanfare and little investor reaction. There was no press conference following the Federal Open Market Committee (FOMC) meeting this month - just a news release. No surprises were expected Wednesday afternoon, and no surprises were delivered. Benchmarks were little changed ahead of the Fed’s statement and modestly higher after. Here’s what transpired at today’s meeting and what it means for the markets. The end of today's Federal Open Market Committee (FOMC) meeting included fresh dovish language in its policy statement - but the market-friendly attitude failed to excite investors who were hoping for more. 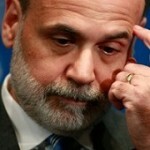 As widely expected, the U.S. Federal Reserve announced it will stay the course on its bond tapering. 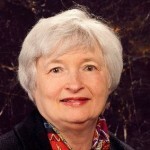 Anticipated - but not as expected - the policy statement shed some light on eventual interest rate hikes. The Federal Open Market Committee (FOMC) meeting today will be U.S. Federal Reserve Chairman Ben Bernanke's last before handing off the reins to Janet Yellen on Saturday. The Federal Reserve shocked everyone when it announced it would taper its $85 billion-a-month bond-buying program by $10 billion starting in January. 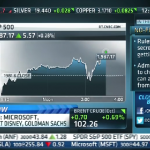 Even more shockingly, the markets soared on the news despite months of taper anxiety. It only makes sense when you look at everything the Fed had to say. 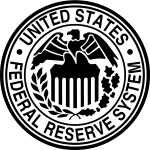 While the U.S. Federal Reserve has hinted several times in the past six months that it is considering cutting back on its monthly purchase of $85 billion in bonds and mortgage-backed securities (known as quantitative easing, or QE), most expect no Fed taper in the immediate future.